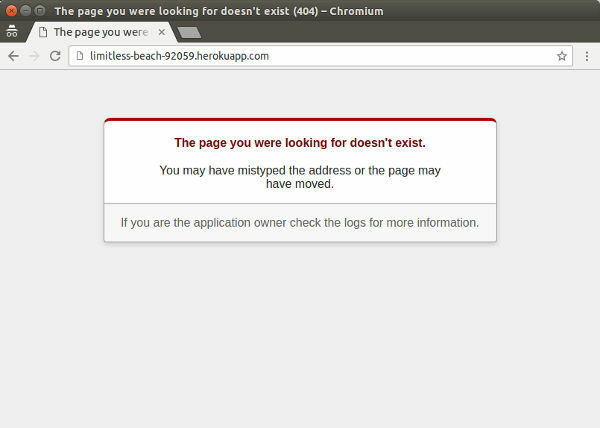 A few years ago, I used Heroku to deploy my side-project. It provides great service, but I remember that updates to the Heroku Stack was a nightmare … Versions of the OS (and nearly everything) changed. The migration was a matter of days, and while doing a side-project, this was difficult. At the time, I remember thinking that using branches and VMs would have been the solution. As an added benefit, if ever someone else joins me in my side-project, it will be a matter of minutes before we can all work on the same infrastructure ! 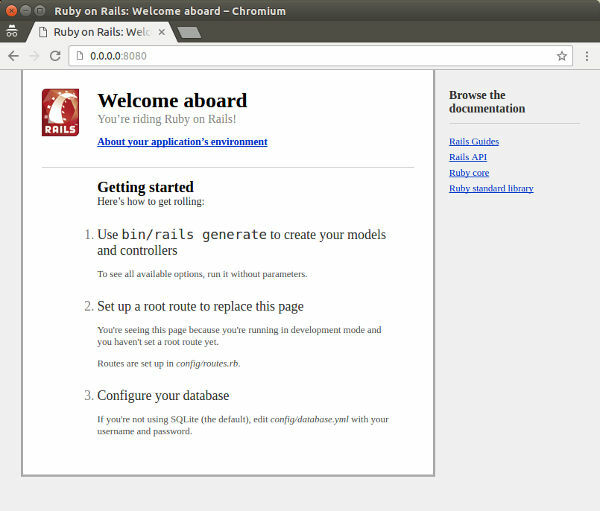 Heroku provides a tutorial about how to deploy an existing Rails app to heroku using containers. Unfortunately, I did yet have an existing rails app … So the first challenge I faced, was how to create a Rails app without actually installing Rails on my machine. The trick is to bootstrap rails in docker itself before packaging all this for Heroku. That’s all I changed to my host machine. sudo chown -R $USER:$USER . sudo chmod -R ug+rw . We’re almost ready to deploy to heroku. For the moment, there’s a catch with bundle install or update commands, as the gems are installed outside the shared volume, only Gemfile.lock will be updated, which required to run docker-compose build again … I’ll have a look into this later and see if I can fix that.